James L. Burk is the current Chair of the Marspedia Governing Council since March 2018. He was instrumental in the joining together of the three founding organizations of Marspedia in 2017 to form the Marspedia Governing Council. 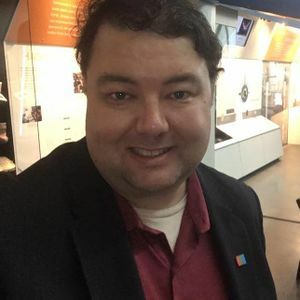 James is the IT Director for The Mars Society, is the organizer for the Seattle and Southern California chapters, is a Steering Committee member and a Founding Member (since 1998). He works full-time for Exsilio Solutions as the manager of the Program Management Office (PMO). He is an experienced technical project manager and web application developer. 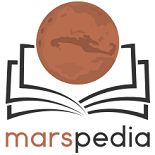 He founded MarsNews.com in 1999 with Dustin Green and is working to integrate that into Marspedia as a newly-transitioned Mars Society project. He is an active member of the National Space Society and the Planetary Society. James was a founding member of the Mars Society and the President of the Seattle chapter, starting in 1998. He attended the 2nd, 3rd, and 4th Mars Society conventions as a speaker. He worked at Microsoft as a Senior Technical Project Manager from 1998 until 2011. Since then, he has worked as a consultant to various companies who are Microsoft partners. He was the founding Vice President & Webmaster of the Moon Society back in July 2000. He left the organization in 2002 and resumed in 2017. He was Director of Communications for the Mars Foundation during its founding in 2004 and resuming in 2017 as Webmaster. He was the founding Webmaster for Explore Mars but left early to rejoin the Mars Society. He has helped out many other space advocacy groups, chapters, and causes. This user is a Marspedia Sysop. This user is a Marspedia Server Administrator. This page was last edited on 17 December 2018, at 16:11.